University of Pittsburgh Public Health program increases physical activity in people at risk for diabetes — but season matters, according to new research. The analysis also confirmed that season matters, with participants getting more physical activity in the summer, versus winter, months. “This may seem like an obvious finding, but this evidence that season influences the physical activity levels of participants in community-based lifestyle interventions will allow us to adjust these programs accordingly and offer extra encouragement and strategies to continue striving to meet physical activity goals during the winter,” said lead author Yvonne L. Eaglehouse, Ph.D., a postdoctoral researcher at Pitt Public Health. Additional authors on this research are Bonny J. Rockette-Wagner, Ph.D., Mary Kaye Kramer, Dr.P.H., R.N., Vincent C. Arena, Ph.D., Rachel G. Miller, M.S., and Karl K. Vanderwood, Ph.D., M.P.H., all of Pitt. This article is courtesy of PRWeb. An interesting article, what are your thoughts on this topic?? Commenting on the recent article, the Los Angeles bariatric surgeon notes that this evidence is just the latest clinical data that proves just how effective weight loss surgery can be in the fight against diabetes. According to a study published August 25th in the Journal of the American Medical Association, individuals with type 2 diabetes that participated in a three year study about weight loss and diabetes were far more likely to see remission of diabetes three years down the line if they elected weight loss surgery at the onset of the trial. In fact, the participants in the trial that were selected not for bariatric surgery but instead for a three year lifestyle modification plan, did not experience any statistically significant diabetes reduction as a group. On the other hand, anywhere from 29 to 40 percent of all patients who had weight loss surgery (depending on the specific procedure) experienced a complete or partial remission of type 2 diabetes at the three year mark after their surgery. According to Los Angeles bariatric surgeon Michael Feiz, M.D., F.A.C.S. of Dr. Feiz and Associates, there have been numerous studies over the years with similar findings about the relationship between diabetes and weight loss surgery. * According to a long term study highlighted by WebMD, 62 percent of former diabetic patients had no signs of diabetes when surveyed six years after their weight loss surgery. Dr. Feiz notes that, because bariatric patients typically experience a leveling off of their weight loss at around the two year mark after surgery, most of the studies that deal with diabetes remission must be conducted at least three years after the surgery is performed in order to produce accurate results. * Additionally, Dr. Feiz points out that those that do not have diabetes, but have been determined by their doctors to be at risk for developing the disease due to their weight, are less likely to develop diabetes after having weight loss surgery. One study, published in The Lancet Diabetes & Endocrinology Journal, showed that these patients were 80 percent less likely to develop diabetes compared to the control group who did not have surgery to address their obesity. Dr. Feiz explains that the reason weight loss surgery is so effective in reducing the prevalence of type 2 diabetes is because it is the best, scientifically proven method to help obese patients lose weight. Obesity is tied heavily to diabetes, heart disease, and a number of other dangerous conditions, so losing excess weight typically has huge benefits for a patient’s overall health. Any patients interested in learning more about weight loss surgery can call Dr. Feiz and Associates at 310-855-8058 or visit the medical office online at http://www.DrFeiz.com. What are your thoughts about this article from Bel Marra and PRWeb? Please share in the comments section below…..
Bel Marra Health, a company that offers high-quality, specially formulated vitamins and nutritional supplements, is reporting on a new study that shows that eating dairy—yogurt in particular—is a good prevention strategy against diabetes. As Bel Marra Health reports in its article (http://www.belmarrahealth.com/eating-more-of-this-will-help-prevent-diabetes/), enjoying a daily dose of yogurt can prevent or lower a person’s chances of developing diabetes. As the article, “Eating more of this will help prevent diabetes,” details, a new study by the Harvard School of Public Health, with funding from the National Institutes of Health, has discovered a strong link between yogurt consumption and the risk of developing type 2 diabetes. Researchers looked at data gathered from more than 193,000 Americans. Participants who were free from diabetes, cardiovascular disease, and cancer completed lifestyle questionnaires every two years, responding to questions on habits and dairy intake. Those who consumed at least a 28 g serving (two tablespoons) of yogurt a day had an 18% lower risk of developing type 2 diabetes. By the end of the follow-up, 15,000 cases of type 2 diabetes were spotted among those who did not consume yogurt on a daily basis. What’s more, those who consumed yogurt daily also received other benefits, such as calcium, vitamin D, and protein, all of which play a role in digestion and intestinal function. The study did not clearly outline which type of yogurt is best, but Greek yogurt offers added protein, according to Dr. Victor Marchione, spokesperson for Bel Marra Health. The American Diabetes Association estimates that 25.8 million people in the United States have type 2 diabetes, with more than 10 million being adults age 65 and over. Statistics show Hispanics and African-Americans are more likely to have the disease than other ethnicities. Worldwide, about 366 million have the disease; that number is expected to jump to 552 million by 2030. People with type 2 diabetes are also at greater risk of developing cardiovascular issues, such as stroke and coronary heart disease, says Dr. Marchione. Dr. Marchione suggests incorporating more fermented milk products into one’s diet. He proposes using yogurt as a cooking and baking substitute for sour cream, for example, or serving it for a creamy dessert with a fresh fruit puree. Bel Marra Health is the maker of Gluco-Rescue, a high-quality nutritional supplement to help support and maintain blood sugar levels. All ingredients are backed with scientific evidence. Every product is tested for safety, quality and purity at every stage of the manufacturing process. Bel Marra Health products are produced only in Health Canada-approved facilities to ensure customers are getting top-quality products. For more information on Bel Marra Health, visit http://www.BelMarraHealth.com or call 1-866-531-0466. According to statistics provided by the American Diabetes Association, over 29 million Americans have diabetes. As debilitating as the disease can be, modern technology has made it easier than ever to manage diabetes while living a rather normal life. In addition to the positive impact that modern medical technology has had on the lives of diabetics, there are some easy tips and tricks that you can follow to make your life with diabetes easier. Here is a look at what they are. One of the challenges for many individuals with diabetes is that insulin, when injected, can take quite some time to take full effect. Participating in light exercise can reduce blood glucose levels and helps your body become more sensitive to the effects caused by insulin, which results a shorter impact time. The great thing about this hack is that you don’t have to go out and run a mile or weight lift for an hour for it to work. Even a few jumping jacks or a short walk can do the trick. As a diabetic, it doesn’t take long for you get used to having to buy and use syringes on a regular basis. But what about disposing of them? For many, creating a system for disposing syringes can be a huge time saver. When disposing of your syringes, it is essential that you utilize a sharps container. Your local community will likely have information about steps you can take to dispose of a full sharps container. If you’re looking for something more convenient, some private companies will allow you to schedule a pickup service or enter into a mail back program. No matter what option you decide to go with, it is imperative that the proper safety precautions are taken for disposal. As if getting yourself through airport security wasn’t difficult enough, it can be even more of a hassle when you’re traveling with your diabetes supplies. In most cases, you can avoid excessive delays while going through checkpoints by putting all of your supplies in a clear bag. A large Ziplock bag should do just fine here. 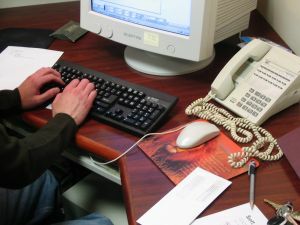 You’ll also want to make sure you have your Medical Necessity Letter on hand. This hack also helps with organization, as you certainly don’t want to be scrambling around for your supplies when it’s needed. 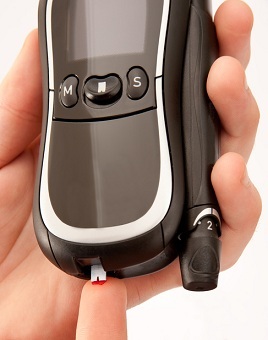 For diabetics, your glucose monitor is your lifeline. When you can’t find it, the situation can cause quite a bit of panic. To help ensure that this doesn’t happen to you, use a key finder and attach it to your glucose monitor or, even better, put in your supplies bag. There are plenty of key finders out there that even come with apps that will display exactly where your supplies are. This can be a life saver when you’re scrambling around searching for your supplies. While managing a life with diabetes is certainly not easy, it can be much easier by utilizing the life hacks above. Give a few of them a try and experience the convenience that they can provide. Frequently, diabetic patients complain how challenging it is to manage diabetes. Even though you take measures to keep your blood glucose in check, the numbers may disappoint you. It’s important to monitor your blood glucose levels to determine the level of insulin intake. The ideal time to check blood sugar levels is before meals and before sleeping. Keeping tabs on your glucose level will help you determine if you need to readjust your diet or medications in order to keep the level in the safe range. Glucose monitoring is also important to know your hemoglobin A1c, which gives an overview of your average blood glucose levels over a period of time. The pattern helps you adjust on a month-by-month basis, and indicate how well you’re managing diabetes overall. With Dexcom’s continuous glucose monitor and similar systems, you can get an assessment of your health with five of the most important insights of glucose levels: lows, highs, best day, nighttime and daytime. With the help of summary patterns you can place frequency, intensity and duration of hyperglycemia and hypoglycemia risks into context. 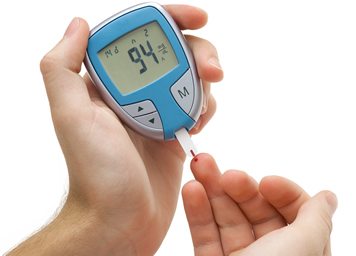 Overall, the data will help you prioritize diabetic management decisions. It’s important to break down your daily meals into small portions, and spread it out into six different meals. Consuming a large quantity of food in a meal or two will cause greater spikes in your blood sugar levels. To maintain a stable blood glucose level, consider eating three healthy meals (medium portion) and two nutritious snacks in a day. Also, if you didn’t eat throughout the day, drinking alcohol on an empty stomach will cause a drop in your blood sugar level 24 hours later. This is because the body has to work intensely to get rid of alcohol. Before having a drink, check your blood sugar, and eat something. Sometimes symptoms of low blood glucose levels can be taken as drunkenness; these symptoms could be dizziness and slurred speech. Add raw foods into your diet; tomatoes, eggplant and onions are some delicious options. Almost all fruits can be eaten raw, while plenty of vegetables can be eaten in a raw or roasted state. You can try raw vegetables with dips such as salsa, guacamole, and Thousand Island dressing to enhance taste. Vegetables can be roasted with seasonings like garlic, rosemary, and cayenne pepper. When it comes to adding greens, think beyond the regular salad and try spinach, broccoli, and chard. These are low-carb veggies that can be mixed with olive oil and roasted in the oven for a quick, crunchy snack. You can also mix roasted veggies with nuts to add a different flavor and texture. Diabetics who are overweight can easily stabilize blood sugar levels effectively by losing a few pounds. 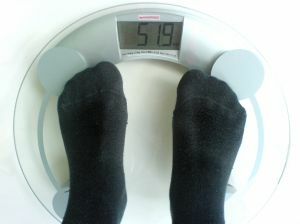 Just losing five pounds can make a significant difference in the need for medication and diabetes control. Taking a varied approach to working out can help you drop those few pounds. Try engaging in resistance, strength and aerobic training two or three times a week for optimal results. This article is courtesy of the Baylor College of Medicine….. 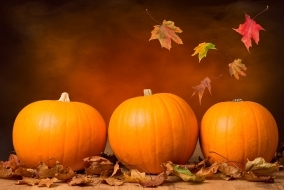 Whether it’s a festival celebration, a haunted house visit or trick-or-treating, parents of children with diabetes need to be prepared for the sugar-fueled festivities, said experts at Baylor College of Medicine. In type 1 diabetes, the most common form of diabetes in children, insulin injections (or a device that continuously delivers insulin, called an insulin pump) must be taken to regulate sugar levels in the blood stream. People with type 2 diabetes may do well with only diet modifications and exercise, or may require medication in the form of pills or insulin injections. By focusing on the fun of the holiday and not restrictions, children with diabetes will have a safe and healthy Halloween. In recent years, doctors and scientists are discovering more evidence of a relationship between type 2 diabetes and Alzheimer’s disease. Exactly why those with type 2 diabetes appear to be at a slightly higher risk of developing Alzheimer’s is under debate, but a number of studies have demonstrated a link between the two. Some research shows that those with type 2 diabetes are, in some cases, twice as likely than others to develop Alzheimer’s later in life. Diet seems to play a large role in the development of Alzheimer’s, and both diseases are affected by the role insulin plays in the body. In individuals without diabetes, insulin helps cells take in blood sugar and keep the blood vessels that supply the brain healthy. Insulin also allows the neurons in the brain to take in and utilize glucose, which is the brain’s primary fuel source – and insulin also plays a role in many other brain functions, such as memory formation and learning. Previous research has established a link between type 2 diabetes (i.e. insulin-resistant diabetes; the body produces a normal amount of insulin but cells don’t respond to it) and Alzheimer’s. 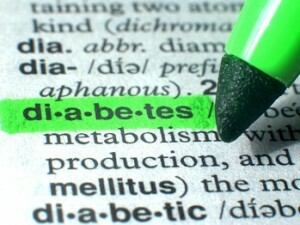 But new research from Kaiser Permanente is demonstrating a correlation between type 1 diabetes and Alzheimer’s as well. The subject was previously not well-explored due to the fact that, in the past, many patients with type 1 diabetes did not live as long into their senior years – but now that most type 1 patients can expect to live well into the age range at which dementia typically develops, the potential of a connection can be scientifically explored. It’s important to note that the study claims no evidence of causation – in other words, there’s no way to tell whether type 1 diabetes is causing Alzheimer’s; the evidence only shows that in patients who have one condition, a higher percentage than usual (compared to the general population) also have the other. Though there’s currently no cure for Alzheimer’s, it stands to reason that taking measures to prevent diabetes, or to manage the disease properly, could also lower one’s risk of developing Alzheimer’s. As type 2 diabetes is often associated with being overweight or obese, a weight-loss plan developed with one’s doctor is an excellent way to reduce the effects of the condition. Controlling carbohydrate intake can also help type 2 patients manage their symptoms and control their diabetes. Creating an eating plan with a nutritionist is an option for patients who find themselves unsure of what to eat. For those with type 1 diabetes, it’s important to take steps to monitor blood sugar levels and keep them as close to recommended levels as possible. Though injection therapy is an effective way to manage insulin, an insulin pump can help provide a steady dose of insulin throughout the day without injections. The device delivers a constant dose of insulin through a cannula inserted under the skin. A pump also has the added benefit of holding enough insulin to last for multiple days – the t:flexⓇ by Tandem holds 480 units, which can last for up to three days depending on an individual’s needs. Although there are no clearly defined treatments for Alzheimer’s, researchers have begun exploring the possibility that some of the same medicines being used to treat type 2 diabetes can also help treat, or at least alleviate, some of the symptoms of Alzheimer’s. Doctors are also hopeful that further research can provide a more definitive picture of the link between Alzheimer’s and diabetes, as well as potentially produce a way to treat or prevent dementia. We always want what’s best for our kids and we always want to see them happy. Having said that, what makes them happy now might not necessarily be what’s best for them in the long run. Take fast food for example. Sure it might make them happy for the half hour that they’re eating it but you can be damn sure it’s not doing their bodies a whole lot of good in the long run. The same goes with sugary sweets and biscuits. Sure it might taste good for them when they’re eating it but it could be increasing their chances of developing type 2 diabetes when they get older. So what can we do as parents to lower the chances of this happening? I spoke to diabetic strip purchasers DTS buyers about some of the ways parents can stop or severely lower the chances of their children developing the disease and these are some of the reasons they gave me. At the end of the day, it comes down to two things and if you implement these two things regularly at a young age, chances are that your children will carry on these good and healthy habits as they get older. Now when I say diet, I don’t mean the Atkins diet or anything like that. I simply mean good healthy food choices that give your children all the nutrients they need to live a healthy lifestyle. No one is saying you can’t give them sweets and chocolate every now and again, but a good balanced diet is needed to provide them with a head start in life. Getting them to eat regular fruits and vegetables with an occasional fast food meal as a treat is all part of growing up. By giving them a good diet when they’re young, chances are they will continue trying to eat healthy when they get older thus severely lowering the risk of developing diabetes by living an unhealthy lifestyle. As with the diet, you want to give you child or children a healthy lifestyle. Having regular exercise is part of a healthy life so getting them involved in sporting activities or even just playing outside with friends is a great way of keeping them active and healthy. This can be quite challenging as sometimes playing the PlayStation might be more tempting! Myself, I was encouraged to play sports I enjoyed as a child and I’ve carried this into my adult life by keeping active and fit by playing rugby and going out on regular runs. Getting them involved in sporting activities when they’re young will stay with them through their life and will go hand in hand with a good diet and an overall healthy lifestyle. This article is courtesy of PRWeb, please share your comments below…. Learn about diabetes causes, prevention tips, treatment from Mercy Health experts. Mercy Health (formerly Catholic Health Partners) – a Catholic healthcare ministry serving Ohio and Kentucky – has devoted the fifth of its monthly Mercy Health: Helping You Be Well videos to diabetes awareness. Mercy Health (formerly Catholic Health Partners) – a Catholic healthcare ministry serving Ohio and Kentucky – has devoted the fifth of its monthly Mercy Health: Helping You Be Well videos to diabetes awareness. Diabetes, the seventh-leading cause of death in the United States, affects 29.1 million Americans. In four concise videos on Mercy Health’s YouTube channel, Mercy Health experts explain the causes of diabetes, offer prevention ideas, and describe treatments and ways to manage their side effects. An infographic with diabetes facts is available at http://bit.ly/1GN4Ns7. Mercy Health is also sharing helpful information throughout the month on its social media channels. Mercy Health (formerly Catholic Health Partners) is the largest health system in Ohio and one of the largest health systems in the United States, employing more than 32,000 employees in Ohio and Kentucky. With $6 billion in assets, Mercy Health operates about 450 health facilities, including 23 hospitals, eight senior living communities, five hospice programs and seven home health agencies. Truven Health Analytics (formerly Thomson Reuters) consistently rates Mercy Health among the nation’s top health systems for clinical quality and efficiency. In keeping with its mission, Mercy Health provided about $1 million per day in community benefit services. Mercy Health’s bonds are rated AA- by Standard & Poor’s and Fitch, and A1 by Moody’s. Mercy Health also partners with HealthSpan which provides health maintenance organization and insurance coverage. Mercy Health is a founding member of Health Innovations Ohio, which focuses on providing health services that result in higher quality, better health and greater value. For more information, visit http://www.mercy.com or connect with Mercy Health on Facebook, Google+, Pinterest and Twitter (@LivingMercyHlth). This article is courtesy of PRWeb and the UPMC. What are your thoughts, please share them below in the comments section…..
A healthy lifestyle intervention program administered at the workplace and developed by the University of Pittsburgh significantly reduces risk factors for diabetes and heart disease, according to a new study.